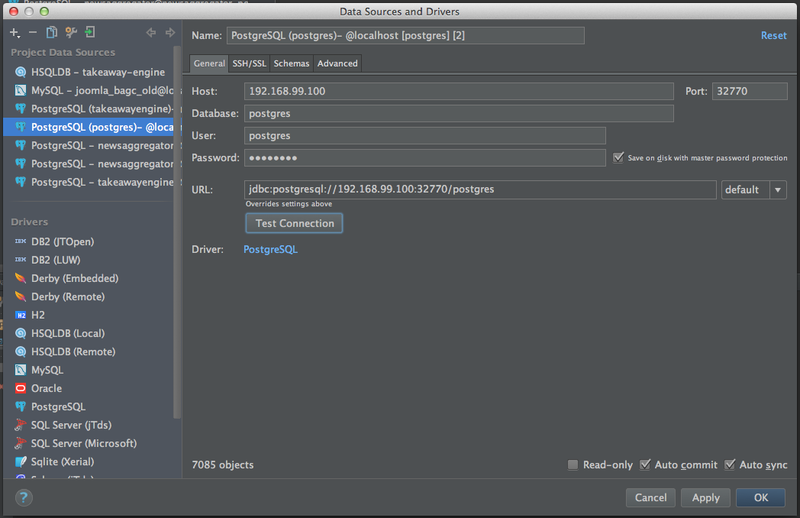 I recently picked up a dev project I had been working on locally again – which was set up to use a local Postgres database (via Java + JPA/Hibernate). 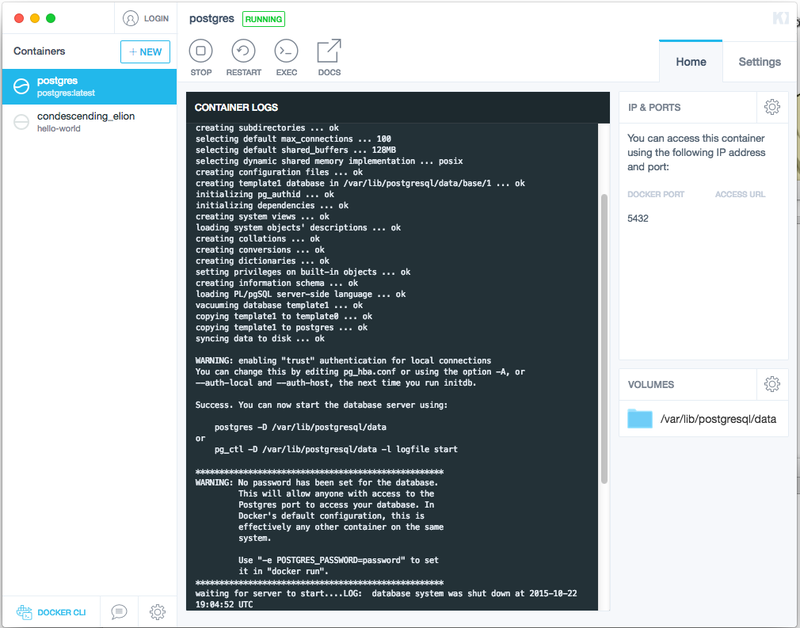 When I checked it out – I realised that I didn’t have Postgres installed locally any more on this machine. I immediately went to download the standard installer, but then thought there must be a better way to do this. 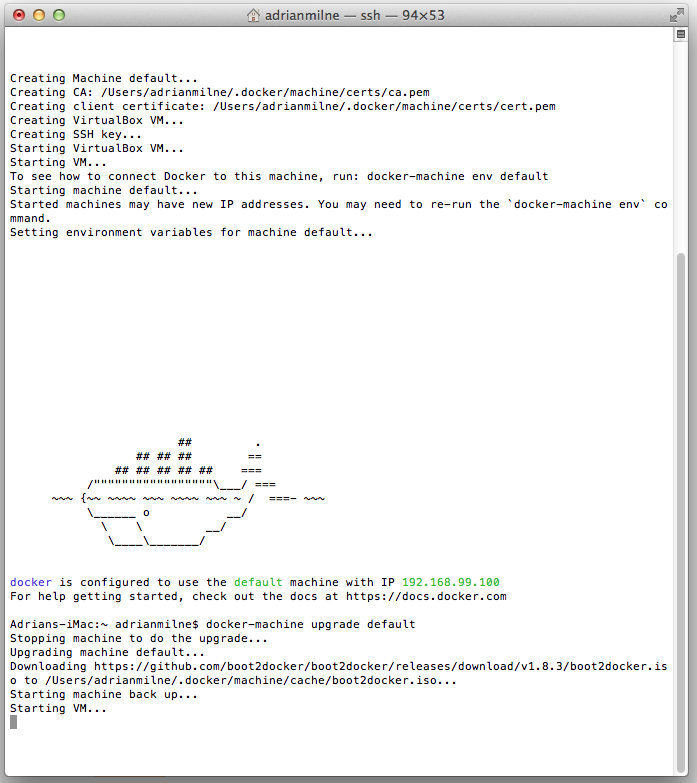 I could try out Homebrew/MacPorts, but I wondered if this was a good opportunity to use Docker instead (after hearing so much about recently – and the fact it had got so much coverage at JAXLondon). 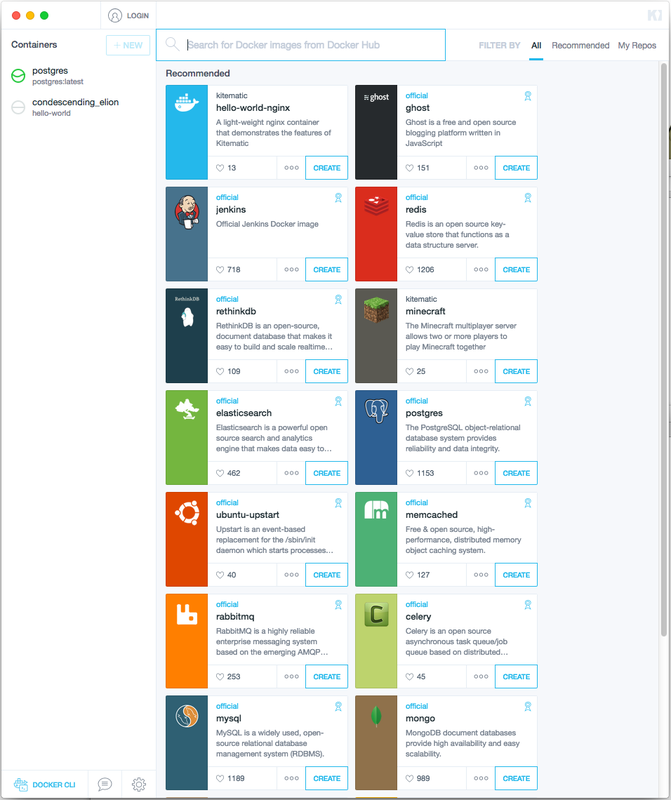 Checking out the website – the new Docker Toolbox looked like an great way to get started – with a simple step-by-step set of instructions. Basically – follow the instructions here. 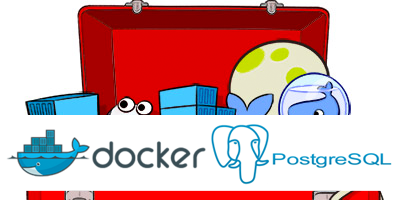 This will create and start up a new Postgres container – like below. I used JetBrains 0xDBE client to check the connection. 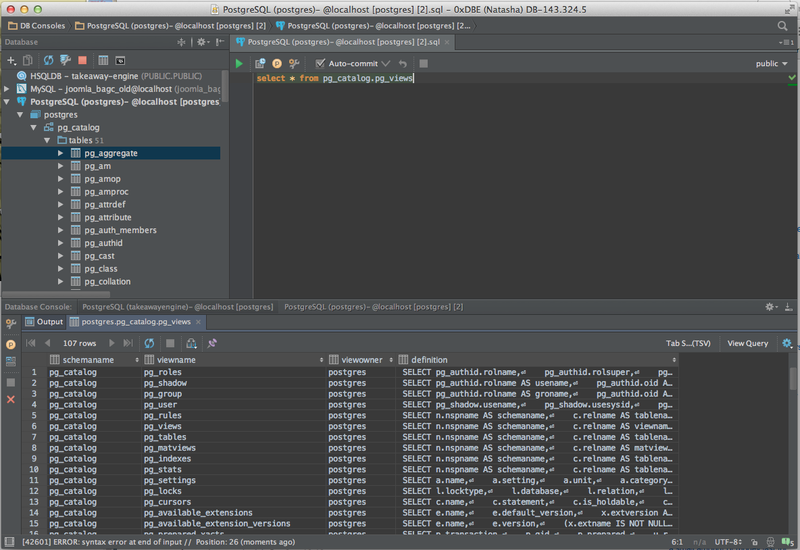 Connection was fine – ready to create a new database, and set the connection string in my Java app and let JPA/Hibernate spin up and do its thing! (I did hit one error – the solution was to remove and reinstall the Postgres drivers from the IDE – in properties – just click the ‘-‘ to remove the jar, and let it pull them down again – this was probably just an issue with my IDE being out of date though rather than anything else). 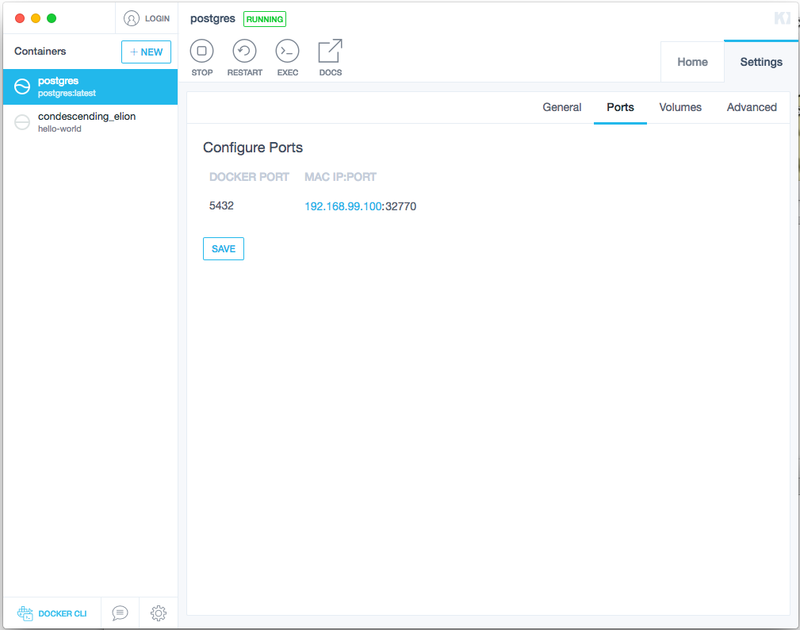 This was the first time I’ve ever used Docker/containers. I’m totally impressed so far (and especially with Kinematic – great for a total novice like me to get up and running). Definitely need to dive deeper and learn more. Aside from playing around with dev servers locally more, I’ll be looking at using it to replace my current Apache install on AWS/EC2 next.